Change is now a dominant feature of early childhood systems around the globe and many countries are currently facing significant economic, social and political developments that bring additional challenges that teaching and learning practices need to be able to respond to in a positive and effective way. 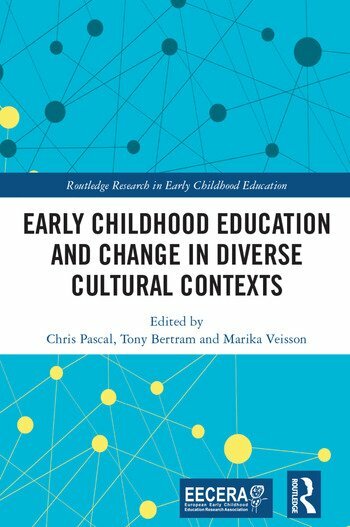 Early Childhood Education and Change in Diverse Cultural Contexts examines how the educational systems in different countries respond to this change agenda, what they prioritise and how they deal with the adjustment process. Based on original and cutting-edge research and drawing upon diverse theoretical approaches, the book analyses new policies and pedagogical practices in a wide range of different cultural contexts. With contributions from Great Britain, the USA, Finland, Sweden, Iceland, Estonia, New Zealand, South Africa and Singapore, this volume examines how educators might be able to innovate and respond positively to the shifting social and cultural situations in these contexts and others like them. Focusing on early childhood policy, professionalism and pedagogy, the book stimulates debate and dialogue about how the field is moving forward in the 21st century. Early Childhood Education and Change in Diverse Cultural Contexts should be essential reading for academics, researchers and postgraduate students engaged in the study of early childhood education, childhood studies and comparative education. Providing practical examples of how educational systems and educators might respond to change imperatives, the book should also be of great interest to teacher educators, current and pre-service teachers and policymakers around the world. Chris Pascal is ?a Director of the Centre for Research in Early Childhood, which is based in Birmingham in the UK. Tony Bertram is ?a Director of the Centre for Research in Early Childhood, which is based in Birmingham in the UK. Marika Veisson is a Professor in the School of Education Sciences at Tallinn University in Estonia.